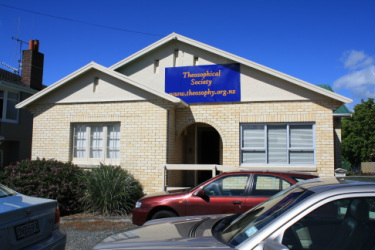 The Theosophical Society welcomes anyone who is in sympathy with our Three Objects, to join in our exploration of the Timeless Wisdom. The purpose of the Lodge is to create a forum where people of similar interest can join in the spirit of harmony to listen learn and discuss, and can serve each other and the Lodge with practical love and kindness. 73 Anglesea Street, Hamilton at 7.30pm. All are welcome to attend. There is a wealth of wisdom available in our library. In addition to books, we have a substantial collection of audios, CDs, DVDs, cassette tapes and bound Magazines and Notes available for loan, as well as the traditional Theosophical favourites, we have a wonderful collection of new and more modern books such as Eckhart Tolle, Carolyn Myss and Kelvin Cruikshank. We are investigating projects for local members to become involved in. Please let one our committee members know your ideas, and voice your interest and support. Visiting Tauranga, Auckland, Orewa, Whangarei or Northland?